Camaro Central is proud to offer wold famous Cragar S/S and Eliminator wheels. These wheels are made in the USA and have the correct Chevy Bolt pattern. These wheels will look great on your Camaro, Chevelle, Nova, Firebird and more! Camaro Central is proud to offer wold famous Cragar S/S and Eliminator wheels. These wheels are made in the USA and most have the correct Chevy Bolt pattern. 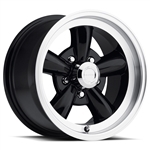 These wheels will look great on your Camaro, Chevelle, Nova, Firebird and more!